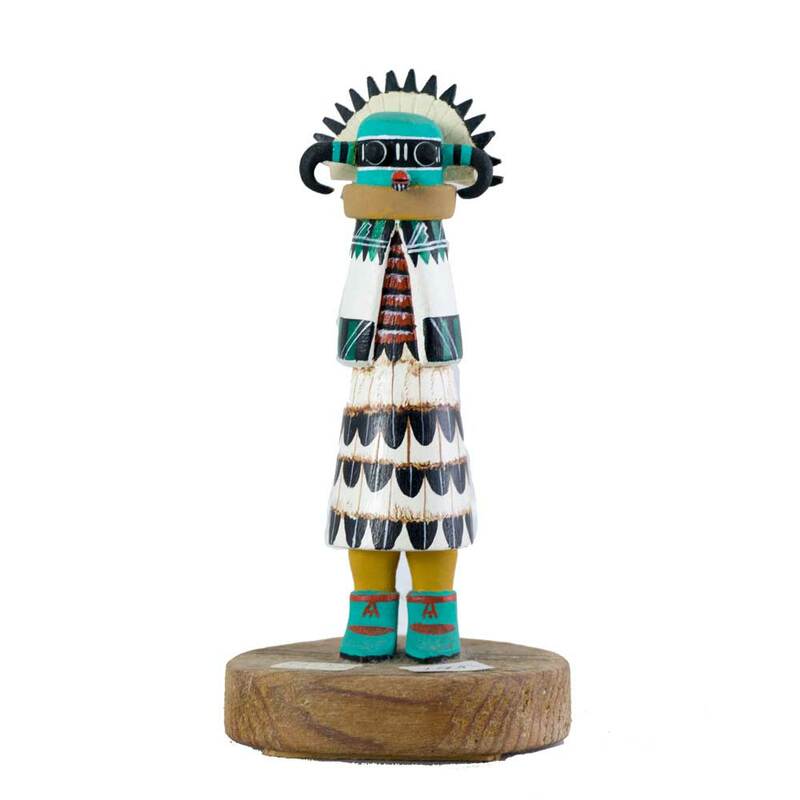 Although traditional Native American pottery-making continues to decline due to artists favoring faster and easier commercial methods for the production of objects for sale to the public, Dolores Lewis Garcia preserves her cultural heritage by adhering to traditional techniques and maintaining reverence for the spiritual quality inherent in her work.Born in 1938 on the Acoma Pueblo in New Mexico, Garcia was one of nine children of well-known Acoma potter Lucy M. Lewis. 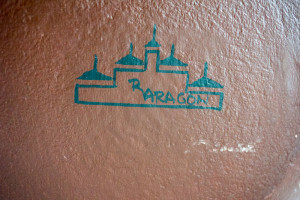 Garcia was educated in the Albuquerque Public School from 1945 to 1955 where she was reprimanded for speaking her native language. 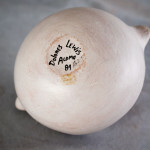 She and her sisters Emma Lewis Mitchell and Carmel Lewis learned the traditional process of pottery-making from their mother who taught them to build, fire, and paint freehand designs on vessels according to ancient tradition. 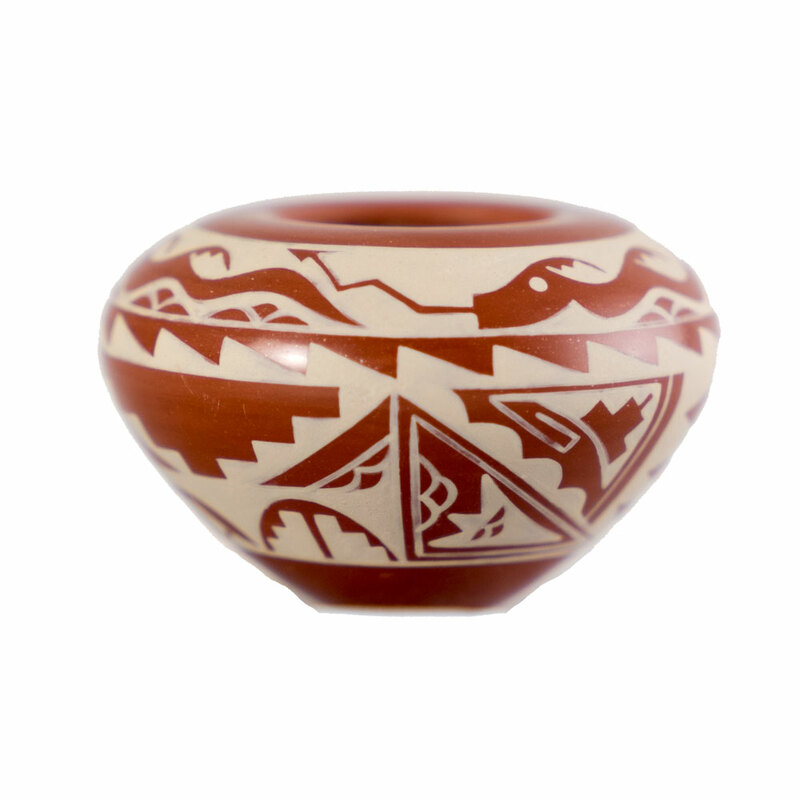 Garcia began working with smaller vessels and eventually became the family expert on making clay canteens. 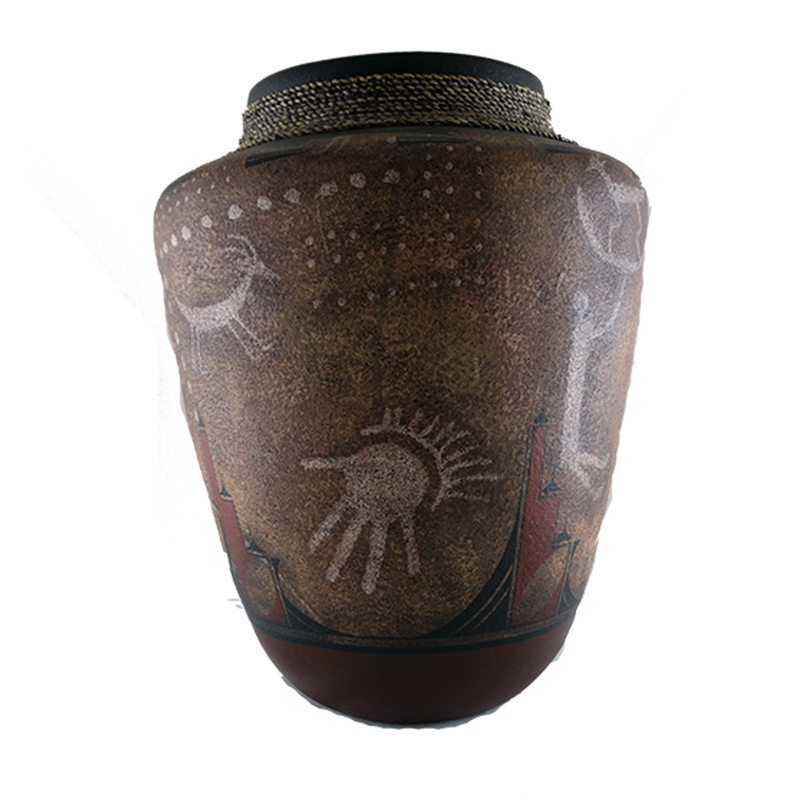 She participated in the Seven Families in Pueblo Pottery exhibition at the Maxwell Museum of Anthropology at the University of New Mexico in 1974. 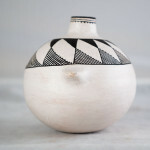 Although she learned how to make pottery from her mother, she believes that her inspiration is derived from her connection to her Anasazi ancestors, and often works with ancient black-on-white designs. 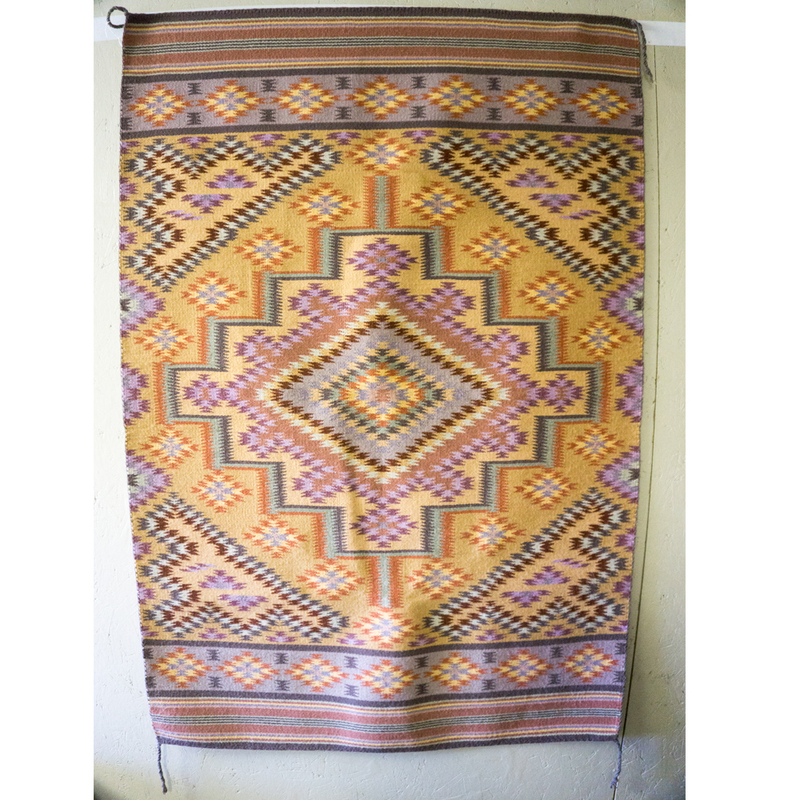 She is credited with being one of the first to use old Mimbres (an ancient indigenous people) designs. 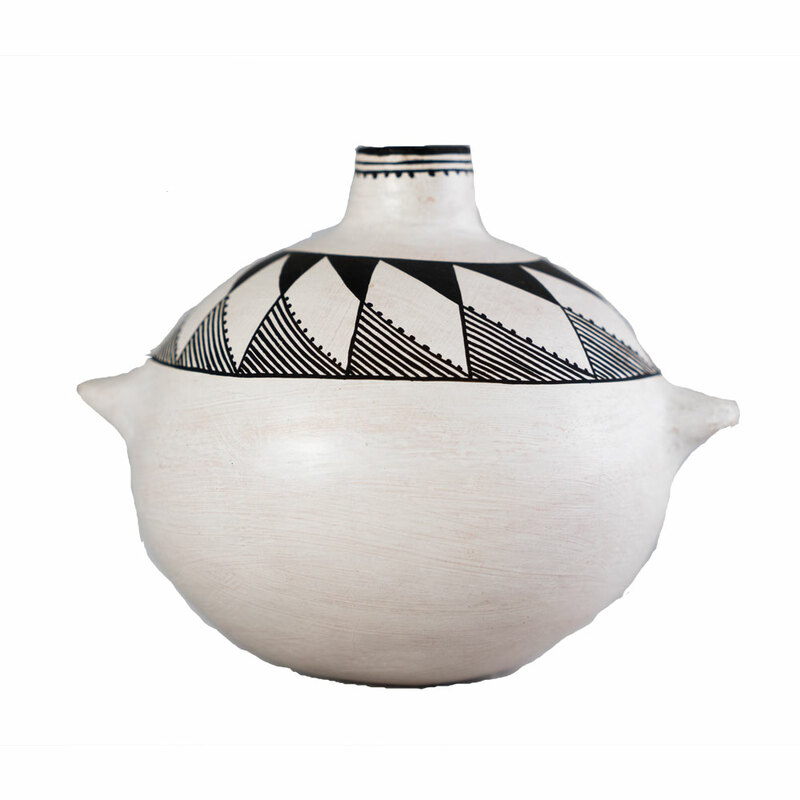 Using clay from the land, Garcia follows the traditional practice of grinding potsherds into powder to be incorporated into the clay. 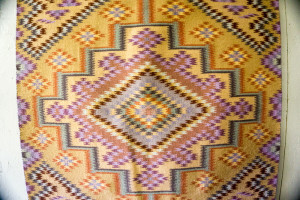 This adds a spiritual quality to the vessels which Garcia and her sisters believe cannot be attained through commercial means. 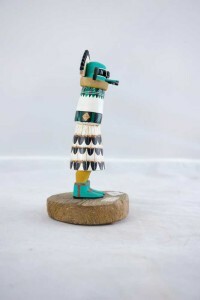 Since their mother’s death in 1992, Garcia and her sister Emma have continued working at the Acoma Pueblo where they share their work with the public through workshops and demonstrations. 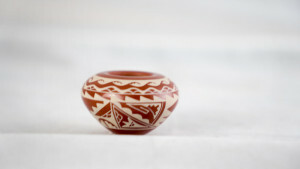 Both sisters speak openly against the use of commercial castware and artificial pigments, and Garcia cites the misuse of spiritual forms and symbols represented in pottery as a cause of drought and misfortune in the Acoma Pueblo. 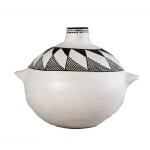 Garcia continues to produce pottery and remains widely known for her fine designs including the heart-line deer, hoof prints, and many abstract patterns.